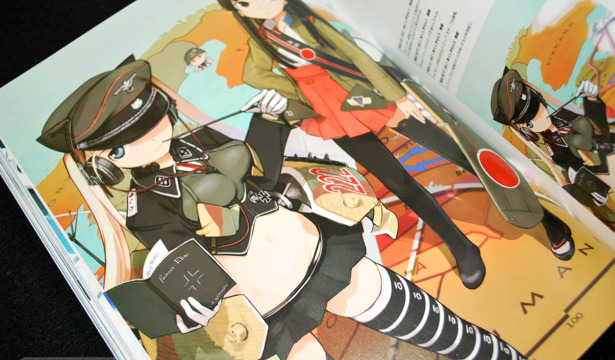 I was first introduced to Ein's art work through the art book The New Generation of Manga Artists Vol. 4: The Omnibus Collection, a publication I'm sure many other anime fans ran into at some point. 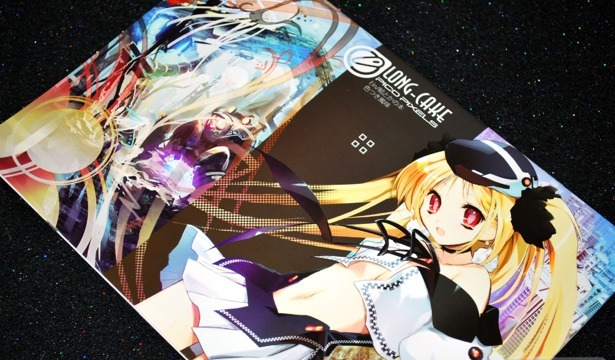 While Ein's signature style is beautiful girls in hi-tech scenery, it's not always in demand and his art work outside of light novel covers can be hard to find, so I was delighted to see his Long-Cake Pico Pixels doujinshi release for Comiket 78. 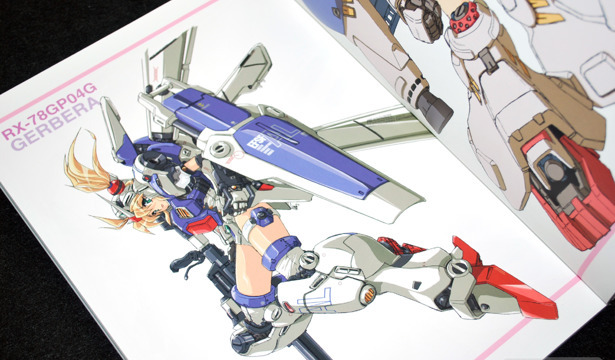 Due to the numerous art book delays at the end of May, I was able to get Mika Akitaka Mobile Suit Girl Art Works a lot sooner than I'd expected. 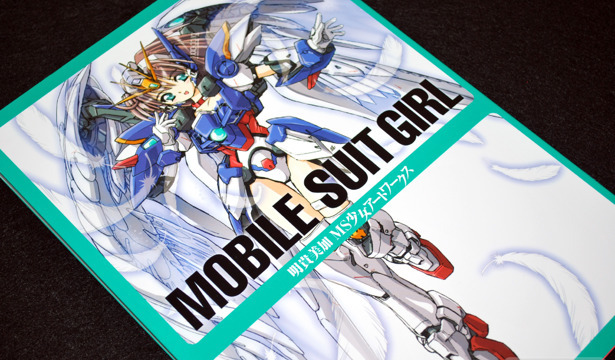 My first impressions are good, it had a whole lot more art work than I had expected---I was bracing myself for more sketch work and process pages based on the contents of the first art book, but there weren't any. 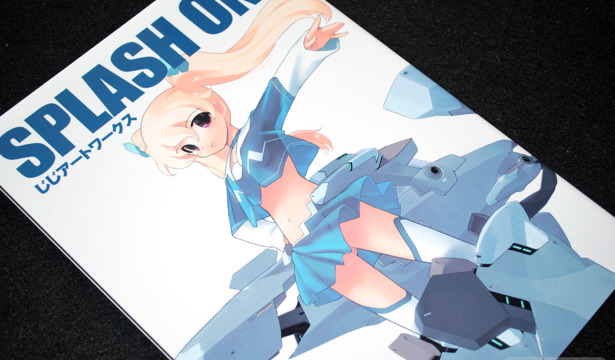 SPLASH ONE Jiji Art Works is a beautiful collection of Mecha Musume that have appeared in the MC☆AXIS (MC☆あくしず) magazine since the start in 2006. 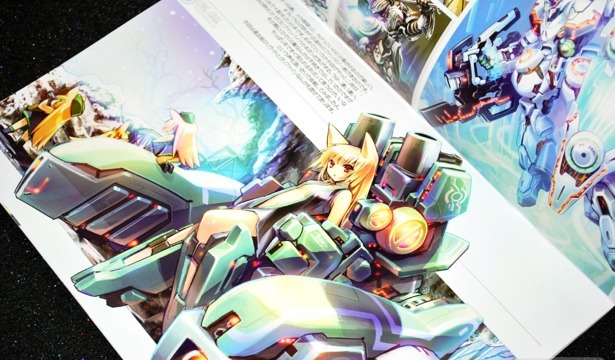 MC☆AXIS is a self-styled moe military magazine, and Jiji's illustrations have always been my favorite from the genre, right there along with Shimada Humikane's works.